Did you know that MAGNESIUM is a mineral we do not get enough of through our diet? Did you know that MAGNESIUM is essential for a number of health benefits? Are you giving your body what it needs to truly heal itself from the inside out? Magnesium helps provide total muscle relaxation, more focus and energy, steadies heart arrhythmia, soothes achy muscle and much more. Magnesium puts energy into the mitochondria so your cells can work for you. Wouldn’t you like to have more energy, especially in the morning? After a good, calm night’s rest? Magnesium does so much in the body because it regulates the activity of Calcium which cannot perform its intended functions (properly tightening and loosening muscles, building bones and teeth, strengthening the heart muscles, opening and closing air passages) without enough of this beneficial mineral. Without supplementation it’s hard to get enough magnesium. But pills are a pain, and can have a laxative effect that you may not want. Furthermore, Magnesium Oxide, the most commonly prescribed form of Magnesium is just crushed rock, not very absorbable and may cause kidney problems since it has to be excreted by the kidneys. Our easy solution: two topical products, a cream and a spray, both at maximum strength, make it the simplest and most effective way to get Magnesium into your body quickly and safely. You will not absorb any more than what your body needs. So many people have had benefits from using Wild'erb Magnesium Cream and Spray in the last six years. Both are 30% Magnesium. The Cream is thick, rich and wonderfully moisturizing. The Spray is made with a water extract of the analgesic and anti-inflammatory herbs in the Body Oil formula for extra soothing benefits and has no smell at all. You’ll want to rub it on a couple times a day for the first couple of weeks to saturate your body and get rid of your symptoms. Either moisturize arms, legs feet and face morning and night or spray 10-12 spritzes on each arm, each leg and across the belly. Spray 50-60 in the morning and again at night until your symptoms subside. You probably know that if it stings, burns or itches when you rub any Magnesium products on your skin it is because you are very deficient. This is a good reaction: it’s your body telling you that you are so deficient you really need to address the problem. Symptoms of Magnesium Deficiency are migraines, leg cramping, heart conditions, acid reflux, inflammatory bowel, fibromyalgia, restless leg syndrome, auto-immune diseases such as lupus, multiple sclerosis, sleep disorders, breathing problems like asthma. The cream and spray, one or the other, are designed to be used on a daily basis to keep Magnesium levels up in the body. This is a very cost-effective way of controlling your symptoms, getting more focus and energy, digesting your food better, improving your mood, mitigating your pains and experiencing better sleep. Wild’erb™ Magnesium Products are available in several options and sizes. Getting Enough Magnesium Is So Very Important! SAVE 10% on all OVHP Magnesium products thru September 16, 2018!!! INTRODUCTORY SALE on Misty Creek Goat Milk Soaps! You will want to discover the handcrafted soaps that are available in both moisturizing bars and liquid bottles. Each mild and creamy bar contains over 1½ ounces of Misty Creek Goat Dairy premium goats' milk. From sliding into second base at the ball diamonds to getting dirty in the yard or gardens and working on building or repair projects, Spring brings abundant opportunities for abrasions, cuts and splinters. Apply Union (black) Salve to help heal the wounds and draw out the foreign material getting you back onto the field and back to work. Groundhog saw his shadow and predicted six more weeks of winter! And that means the cold, allergy and flu season is still going strong. Let H & H Remedies help with the symptoms associated with colds, allergies and flu by offering 10% off our Cold / Allergy Relief Kit! Let the soothing aromatherapy oils in our Vapor Ointment go to work on the nasal and chest congestion and use the herbal Lip Balm to promote healthy lips. Use code WINTERCOLD at checkout. Ends 3/30/18. H & H Remedies to the rescue! Hot Cocoa! Apple Cider! Cool, Crisp Fall Air! Beautiful Scenery & Abundant Colors! Autumn is upon us with Winter close on its heels. Runny Noses! Stuffy Noses! Chest Congestion! Nasal Congestion! Dry, Chapped Lips! Cold sores! What? Grab a jar of our Union (black) Salve to help heal those turf burns, cuts and abrasions that come along with Fall Sports. From bee stings to burns, cuts and poison ivy, there are a number of things that can happen in the summer months. Having an H & H Remedies Travel Size First Aid Kit is a key element of first aid. Green is not always good. Right? Especially if it is POISON IVY!!! Remember "Leaves of 3, Let it Be! OLD TIME REMEDY that works for TODAY! One of the best "Drawing" and "Healing" salves on the market. Have a cut, a burn, a boil, a splinter? This is your answer. Along with the cold weather usually the Stuffy nose and Chest congestion soon come along right behind it. 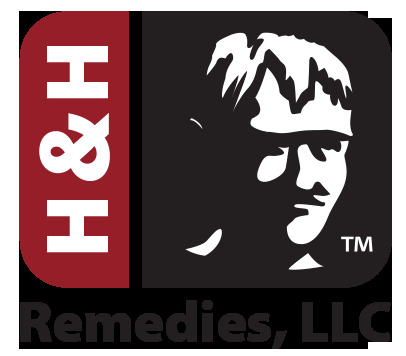 GRAB A JAR OF H & H REMEDIES VAPOR OINTMENT!